Below you can view all the homes for sale in the Huntcliff subdivision located in Sandy Springs Georgia. Listings in Huntcliff are updated daily from data we receive from the Atlanta multiple listing service. To learn more about any of these homes or to receive custom notifications when a new property is listed for sale in Huntcliff, give us a call at 404-998-4017. Too Much To List Come See For Yourself! MLS#6532170. Barbra Curtiss Realty. Gracious Sized Living Room & Seperate Den Opens To Kitchen Area. Updated Systems. Meticulously Maintained. MLS#6531601. Re/Max Around Atlanta Realty. Paddle Around In Your Own Canoe. MLS#6530146. Engel & Volkers Buckhead Atlanta. ), Updated W/Storage Galore. Ideal Sanctuary, Oasis Of Privacy! MLS#6527390. Coldwell Banker Residential Brokerage. Check The Location Out On This Property, Perfect If You Like To Play In Otp And Itp. MLS#6527283. Atlanta Communities. This 5 Bedroom, 4 1/2 Bath Home Is A Must See! MLS#6522972. Berkshire Hathaway Homeservices Georgia Properties. Great Price For Hard To Find Condo In This Area And In This Condition. Welcome Home! MLS#6522822. Keller Williams Realty Atl Part. Lovely Brick Patio, Fire Pit, & Grill Area Idea For Entertaining Or Relaxing. MLS#6521256. Coldwell Banker Residential Brokerage. Meticulously Maintained With An Open Flow, Its An Ideal Oasis Of Privacy. MLS#6516669. Coldwell Banker Residential Brokerage. Finished Walk-Out Terrace Level Has Ample Living Space & Kitchenette, Great For Mother-In-Law Suite! MLS#6512862. Compass. Terrace Level W/2 Bd/2Ba, Rec & Family rooms Opening To The Private Backyard Oasis, A Wildlife Preserve At Peace W/Nature. MLS#6509288. Coldwell Banker Residential Brokerage. New Brazilian Hardwood Decks, Flagstone Patio, Full Terrace Level (Au-Pair Suite, Rec rooms, Office, Gym), Are Ideal For Entertaining With This Private, Park-Like (Trees, Perennial Gardens) Location, Close-In Yet Far From The City'S Hustle & Bustle. Storage Galore MLS#6507882. Coldwell Banker Residential Brokerage. Seasonal Views Of The River. Awesome Family Home. Storage Galore! MLS#6504222. Coldwell Banker Residential Brokerage. Walkout Pool Off Spacious Family Room, Sun Room Off Master, And A Third Garage In The Terrace Are Just A Few Of The Special Features. MLS#6125826. Keller Williams Realty Atlanta Partners. Spacious Deck Off Back Overlooks Sprawling Backyard With Fire Pit, Gazebo & River Access. MLS#6106965. Compass. Entertain Downstairs In Your Billiard Room With A Wet Bar And Cozy Wood-Burning Fireplace. MLS#6101528. Mark Spain Real Estate. 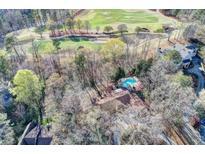 Fabulous Amenities Boast Clubhouse On The Chattahoochee, Olympic Pool W/Cabana. MLS#6098338. Keller Williams Rlty-Ptree Rd. Coveted S/T, Equestrian And River Access.Huntcliff Is Not Just A Neighborhood, It'S A Lifestyle! MLS#6086818. Atlanta Fine Homes Sothebys International. Beautiful Wrap Around Decks With Glass And Sliding Doors Bringing The Outside In. MLS#8432365. First United Realty, Inc..